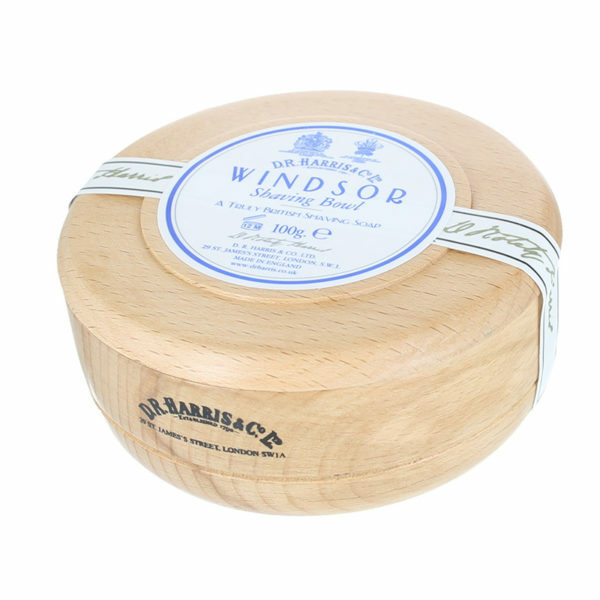 The traditional, white shaving soap in its hand-made wooden pot guarantees best quality. The soap is triple-ground and develops a rich, luxurious foam. For a perfectly thorough shave. For all men who prefer a thorough shave, a high-quality shaving soap is a must. The premium cosmetic of D.R. Harris transforms the daily chore of shaving to a relaxing ritual. Due to its high amount of glycerin the shaving soap softens the beard optimally and protects the skin simultaneously against drying out. Rich and easy at use, D.R. Harris shaving soap spoil the skin with fine ingredients and develop a lavish foam, making every shave a pleasure. The shaving soap suffices for many months and is especially economical at use. 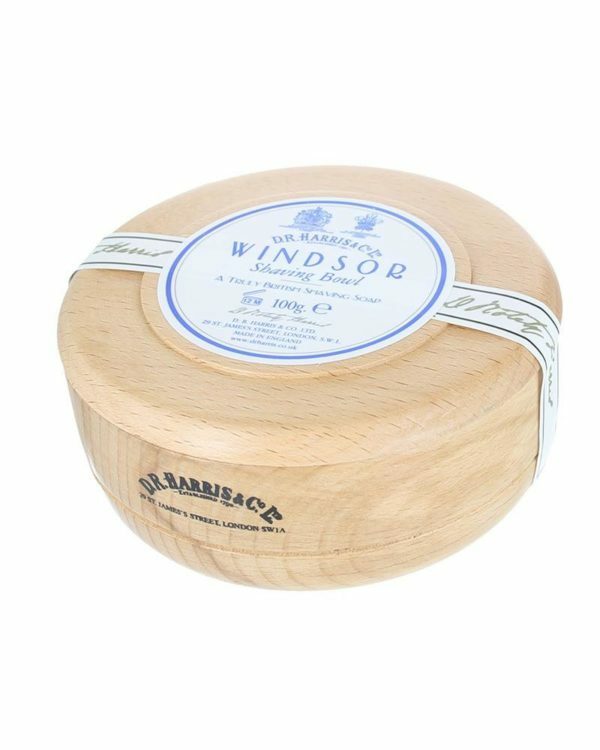 The high-quality pot of beech wood is hand-made and adds a charming, classic flair to every bathroom. Equipped with the Windsor Scent – a fresh mixture of citrus- and grapefruit notes, which finds its highs in aspects of black pepper and vetiver. Wet the beard with some warm water. With the help of a shaving brush, lather the shaving soap, apply the rich foam in soft strokes on the to-be-shaved spot and let sit for two minutes. Enjoy a pleasing, thorough shave. The rich formula does not dry out the skin and leaves you with a soft skin feel. Rinse with fresh water. Use an aftershave for further comfort.